Including the counties of Co Durham, Northumberland, Tyne & Wear and the Tees Valley. You are entering the old kingdom of Northumbria, formed when Bernicia – which stretched way into what is now Scotland – unified with Deira to the south, between the Tees and the Humber, in what is now part of North Yorkshire. North East England is bisected by the remains of Hadrian’s Wall, through Northumberland and Tyne & Wear, which ran more than 70 miles from the Solway Firth in the west to Wallsend in the east. The venomous Bede used to live in Jarrow in the 8th century and the medieval Prince Bishops used to wield their power from Durham Castle. In addition to its ancient heritage, the area has a proud industrial one – coal mining, steel, shipbuilding, chemicals – and more. The world’s first passenger railway opened between Stockton and Darlington in 1825. Tyneside, Wearside and Teesside are heavily built up, whereas parts of Northumberland, which stretches its finger up to the border with Scotland, can feel surprisingly remote. Here, you’ll find Northumberland National Park, which includes the vast landscape of the Cheviot Hills on the border with Scotland, Kielder Water, Europe’s largest artificial lake and the surrounding Kielder Forest, reputedly the largest man-made woodland in England. Northumbria boasts some of England’s most iconic castles, such as Bamburgh and Dunstanburgh, perched on a dramatic coastline famed for its wildlife. Inland, the North Pennines, part of England’s backbone, is a designated Area of Outstanding Natural Beauty (AONB) and divides east from west. 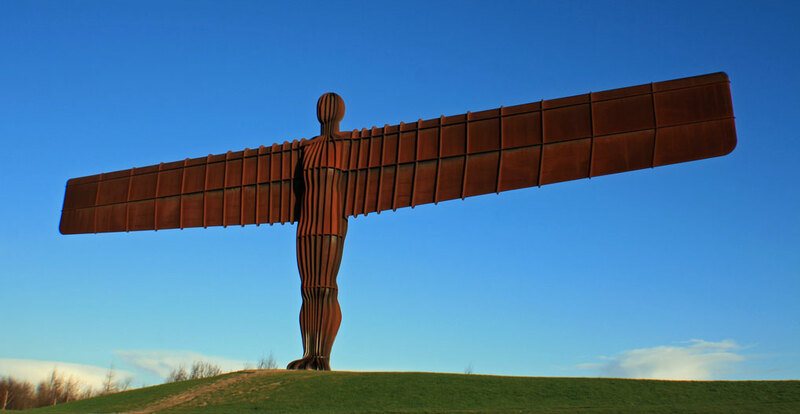 There are three major cities in the North East: the largest, Newcastle-upon-Tyne, is famed for its nightlife and native ‘Geordies’; a little to the south east is footballing rival, Sunderland, a major port also renowned for its long history of glass-making and whose inhabitants are colloquially known as ‘Mackems’. 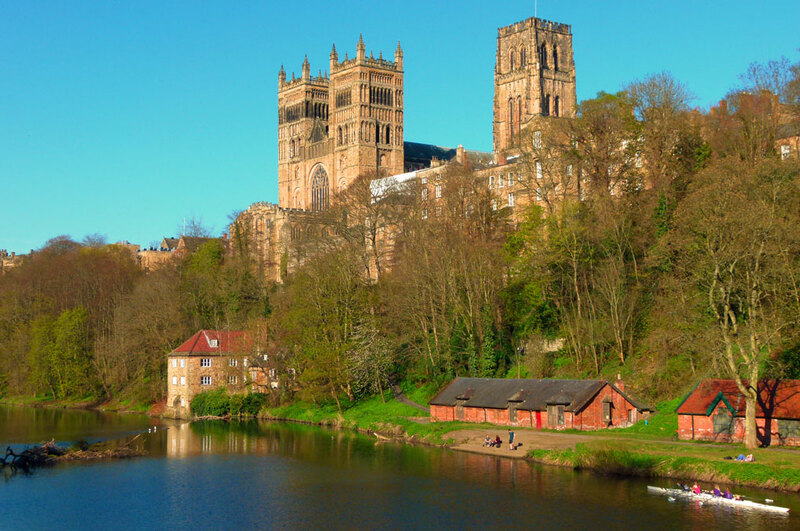 The ancient City of Durham is dominated by its magnificent cathedral and castle, towering on a rocky outcrop over the River Wear. It’s easy to lose yourself exploring the North East. Parts of the landscape have a unique ‘feel’, and there are some historic gems within the large conurbations. It tends to be drier than the North West, though, my word, it can be cold! East coast trains run between Edinburgh and London King’s Cross. Newcastle has an excellent international airport about 7 miles to the north, though it is connected by a good underground rail system (the Metro). The A1 (M) and A1 link the region from north at Berwick to the south. Follow the A1068 and B1340 to take in the spectacular coastline in the north. Take the A688 via Bernard Castle from the south west and follow the A68 through the Northumberland National Park. If heading east-west, an alternative to the A69 is the B6318, which follows the path of Hadrian’s Wall between Gilsand in Cumbria and Heddon-on-the-Wall just west of Newcastle; the scenery is spectacularly different.